← St. Patty’s PAR-TAY with Mimi Barbour! According to heart surgeon Dr. Dwight Lundell, our years of eating highly processed carbohydrates and the excess consumption of omega 6 vegetable oils such as soybean, corn, and sunflower oil is the #1 major cause of heart disease, and not cholesterol (Sott.net, March 1, 2012). Here’s a quote from the Sott article: “Simply stated, without inflammation being present in the body, there is no way that cholesterol would accumulate in the wall of the blood vessel and cause heart disease and strokes. Without inflammation, cholesterol would move freely throughout the body as nature intended. It is inflammation that causes cholesterol to become trapped. ” It’s a fascinating article, and I highly recommend you read all of it. PANIC TIME All this news, though, has caused me to panic in the kitchen. I enjoy making bread, and feeding steak and smashed potatoes to my boys. But at the same time, I want my family to stay healthy. What’s an omnivore who has no interest in changing her stripes to do? I reached for a bottle of wine, natch! On the Label: “New Zealand’s South Island is home to the Marlborough wine growing region, known for its natural beauty and some of the world’s finest Sauvignon Blanc. Marlborough’s favourable climate and diverse geography develop wines with a unique character, making them as flavourful as they are refreshing. My Take: I liked this wine a lot. I’d come home from work and was in a bit of a panic about dinner; found a healthy recipe and scooted off to the store. Found this wine – and felt my panic recede a bit. The wine was crisp, clean, and yet had a hint of sweetness. Refreshing and very easy to drink. After my first sip, I felt panic slip away and I began to cook. My Rating: ~ Very Drinkable ~ I think I may just start buying NZ Sauvignon Blancs when I’m in an S. Blancish mood. This recipe is one of my favorites – I didn’t list it here, because I didn’t create it, but do check it out. Grilled mushrooms, chopped tomato, garlic, rosemary, lemon juice, olive oil and mozzarella cheese – what’s not to love? The only bad thing was, I had made enough filling for twelve portobellos, instead of four. Sigh. If any of us had remembered to put up the extra, it would have made terrific topping for pizza! I did follow the rest of the recipe to the letter – grilling, basting, filling, and melting – and the mushrooms turned out spectacular (by far my favorite way to have them). I paired this with a lovely chopped salad of bell pepper, zucchini, cucumber, spring onions, feta, three different types of lettuce (butter, red, and some crinkly artisanal lettuce), fresh basil, fresh parsley, and shredded carrot; squeezed one Meyer lemon over it all and added a splash of olive oil, salt and pepper, and mixed the heck out of it all. Tasted wonderful (and there were leftovers for lunch the next day). My Take: Nice and brief label – love it. I enjoyed this wine, too…it had a slightly more acidic flavor to it, which held up beautifully when paired with a robust chicken/mushroom soup I made and doctored the family with this past week. My Rating: ~ Very Drinkable ~ Honestly, I was very pleased with the quality of both these wines. I will go out of my way to search for more New Zealand wines – hopefully I can find some yummy reds, too! Well, that’s it for this week. Do you have any recommendations for wine under $10? I’m always looking for new ones to try! Remember the ratings are based on my taste buds (and sometimes those of my hubby), and will be influenced by how much the media has managed to panic me that week, how much gardening I’ve done, and the phase of the moon. Your taste buds will be different. Thanks for dropping by – and remember to Drink Responsibly! This entry was posted in Cooking, Life, Wine Friday and tagged cholesterol, chopped salad, Dr. Dwight Blundell, grilled portobello mushrooms, Los Angeles Times, New Zealand, Oyster Bay Wines, panic, recipes, Red Cross, red meat, Sauvignon Blanc, Sott.net, Starborough Wines. Bookmark the permalink. Christine, I’ve been telling you to try New Zealand wines! Oyster Bay is one of my favorites. 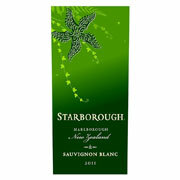 I wasn’t familiar with the Starborough Sav one, but I haven’t had a bad Marlborough Sav Blanc. If you ever visit New Zealand, I highly recommend a wine tour through this region. Hubby and I have done a tour each time we’ve gone to the South Island and had a blast. 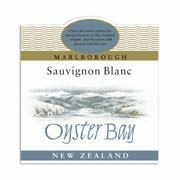 I’m drinking Shingle Peak Sav Blanc tonight, which is a Marlborough one too. LOL about the mushrooms and the cheese. They sounded delicious. Okay, Shelley – you were right! Now find me some reds, luv. Please. I’m a red wine girl! You could try any of the Otago vineyards. The area is well known for its Pinot noir wines. You always make the wines sound wonderful, but those portobello mushrooms made my mouth water! Brinda, HAPPY RELEASE DAY!!! – and yeah, the mushrooms were outstanding! I’m subscribing to this blog. The mushroom looked delicious. The wine, I have to be careful of…most of them taste awful to me. One sip and I make an ugly face, same with most beers. Though I do like the taste of Killian’s Red. I’m trying to make a list of wines I do like so I can venture out feeling confident. Pepper, you totally made me laugh! Don’t feel you HAVE to like wine – my dad is a huge advocate of drinking his grapes while they’re fresh, not rotten as he calls it. Try Chenin Blancs – they tend to be on the slightly sweet side (but not sickeningly sweet). When all else fails, ask for a spritzer – white wine and either sparkling water, or seven-up with a slice of lemon over ice. Half the calories, perfect for summer, and the alcohol taste is muted. I’m not big on white wines but my daughter-in-law prefers them. I’ll try to grab an Oyster Bay bottle at Von’s today. Thanks for the tip! The Starborough label is so pretty. I’d buy the wine for that. I love how you write, eat and drink. 🙂 Nice post with great information. I’ll be back for more. Colleen, what a lovely compliment! Thank you so much! Hey, Christine. Enjoyed today’s post. I’ll be trying the recipe and looking for the wines at the wineshop. Have a great weekend! Dawn, I will – you too! Yeah – inflammation is key to so many things, isn’t it? I guess that’s why they have us take one aspirin a day to promote heart health. I also don’t have any qualms about taking ibuprophen. All this new information reminds me of the Woody Allen movie Sleepers where they discovered that red meat and chocolate and sugar were good for you, and health food killed you. Maybe if we hang around long enough we’ll get wome good news for a change? I’m totally e-mailing you privately to get the exact recipe for the mushrooms! If you click on the MyRecipes.com link, it’ll take you to the recipe, Lynne! But I love getting email from you, too! Wonderful blog, Christine! I have decided to do everything in moderation, or you will go crazy. Every month, a new ‘killer’ is being discovered in our foods. I can only drink red wine, about an inch at a time. It upsets me, which is really weird for an Italian whose father drank Chianti like water. I have no problem drinking white wine, oddly. Have a great day!! Thanks, Charlene! I totally agree. Everything in moderation – including, at times, moderation. Hugs hon! You are not wrong, sister! 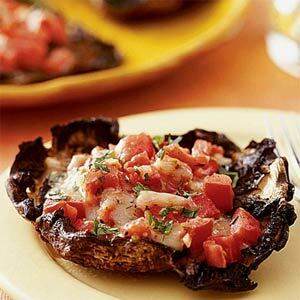 If they’re really big portobellos, just cut them in quarters – voila! dainty appies! Wow. That mushroom looks sooo good. I could really go for some of those right now with some good wine to wash it down. Yum! Who knew they would find more things to make us crazy concerned about our health? Should we be surprised? Probably not.